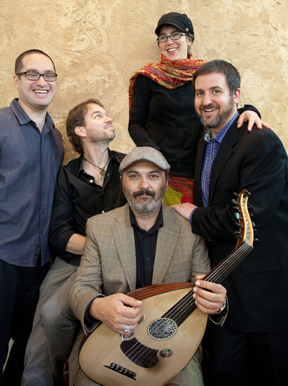 Founded in 2002, Montreal/Philly-based Shtreiml offers a high-octane mix of not-so-traditional Eastern-European Jewish and Turkish music. Led by innovative composer, pianist and harmonica player Jason Rosenblatt, a protege of harmonica master Howard Levy, and one of the few people worldwide who can play the diatonic harmonica (a.k.a. blues harp) chromatically, Shtreiml's blues-rock infused set, delivers a new look at some centuries old folk music. 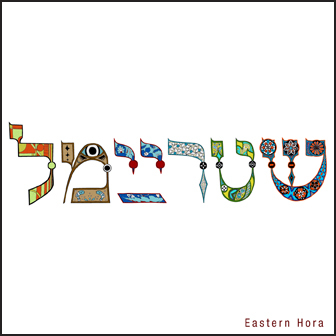 Shtreiml's latest album entitled Eastern Hora is a compelling program of all-original music performed in collaboration with Istanbul native Ismail Fenicoglu. Enchanting and ornate - oud player and vocalist Ismail Fencioglu is a true master of Turkish music. He's a rare talent whose soaring vocals and fleet fingered oud playing conjure images of the Bosphorus at sunset and truly transport the listener to a different time and place. Joined by the rest of Shtreiml the group features the Balkan punch and rhythmic flair of Rachel Lemisch (trombone), Thierry Arsenault (drums) and Joel Kerr (bass) - This is a project which is firmly rooted in the Jewish and Ottoman traditions, but brimming with hard rock sensibilities and dextrous improvisational know-how. Shtreiml has been performed at concerts, festivals and venues in Canada, The U.S. and Europe has been labeled "explosive" (Halifax Chronicle Herald) and "exhilarating"(Rootsworld).